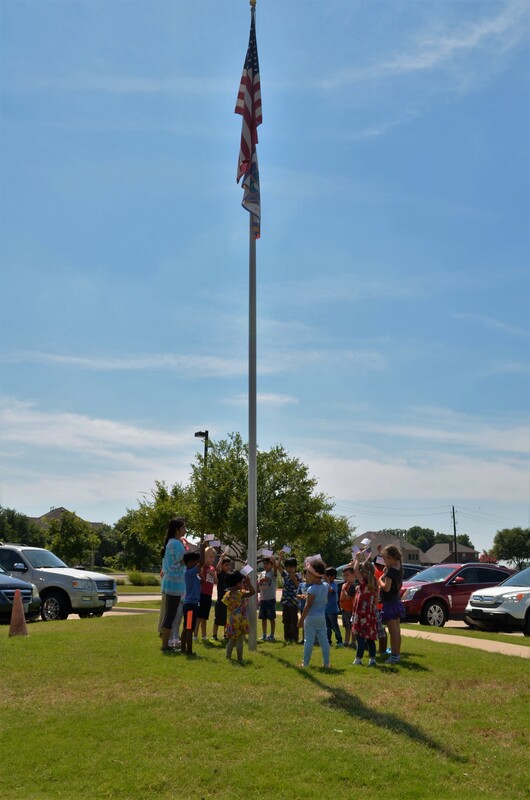 Summer Camp at HBMH is always an exciting time of the year. 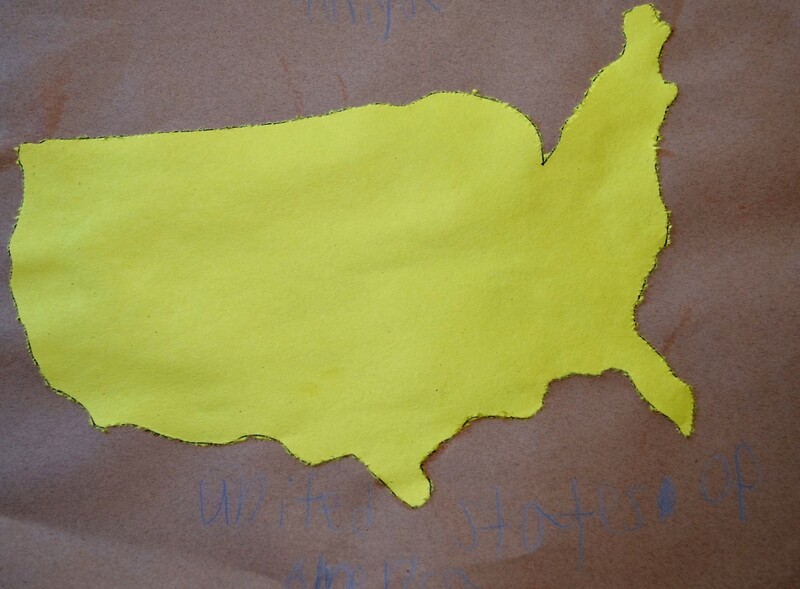 Over the past few weeks, our friends have been enjoying various lessons and art activities focusing on the United States of America. 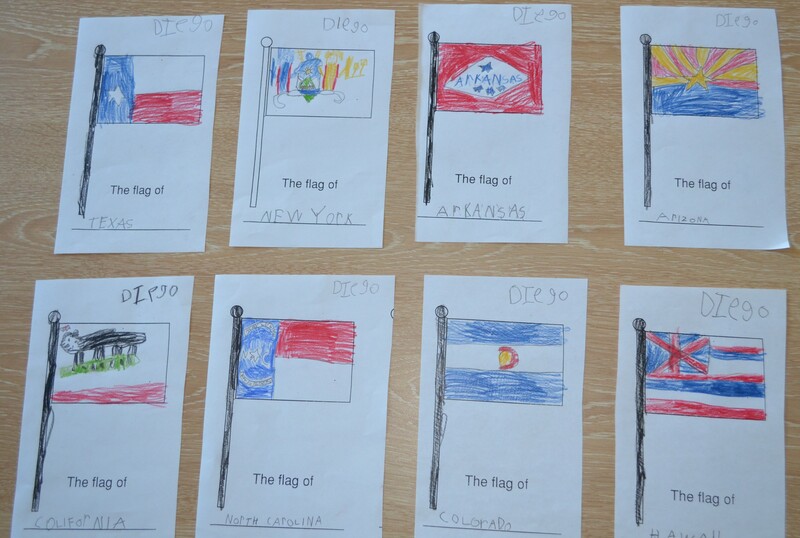 We learned about American history, the USA flag and Pledge of Allegiance, various significant landmarks, the different states and their capitals, studied flags, painted pictures, and so much more. 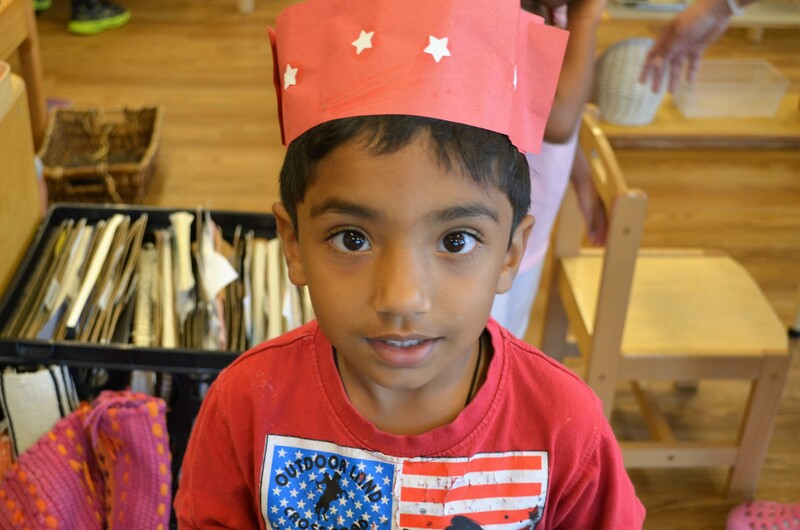 It was fun-filled summer camp, packed-full of exciting activities! 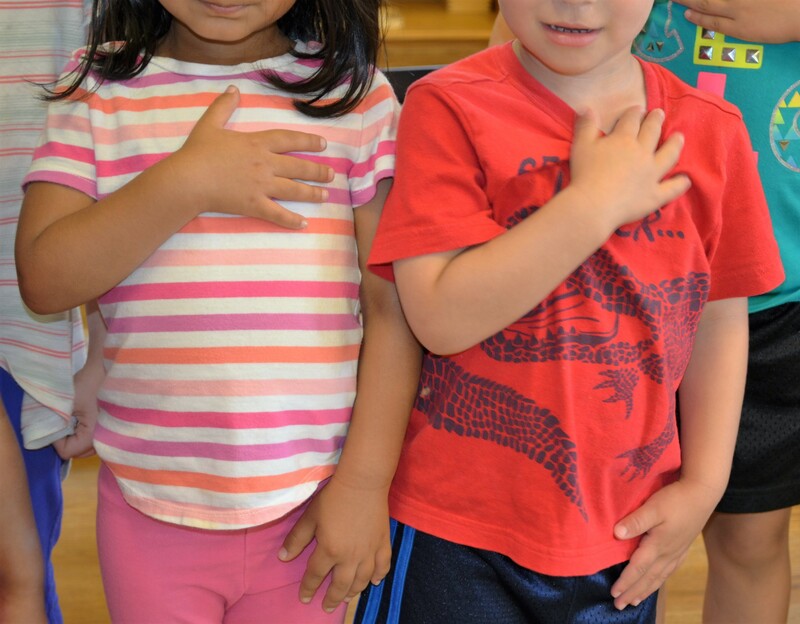 Friends gather around the American and World Peace Flag to recite the Pledge of Allegiance. 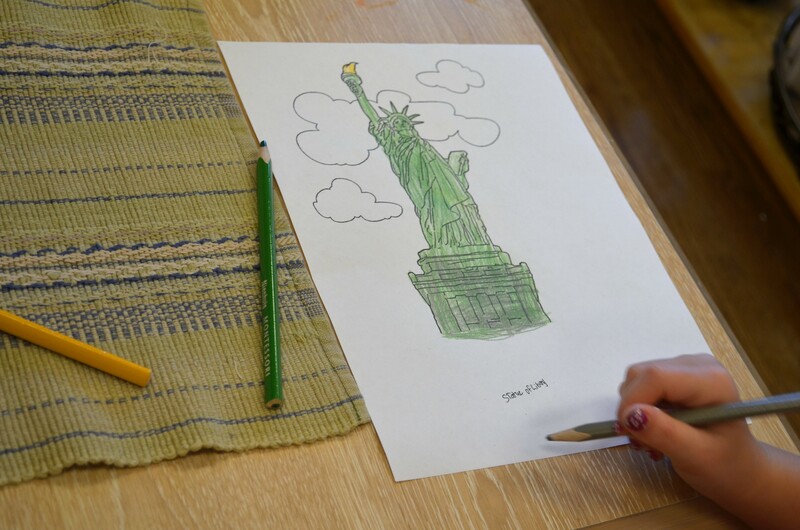 We colored pictures of significant landmarks in America. 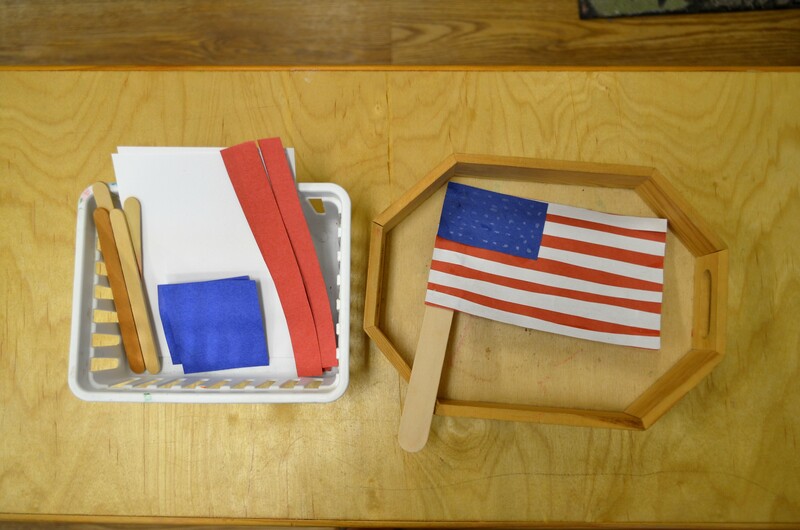 We made special hats, adorned with stars and stripes. 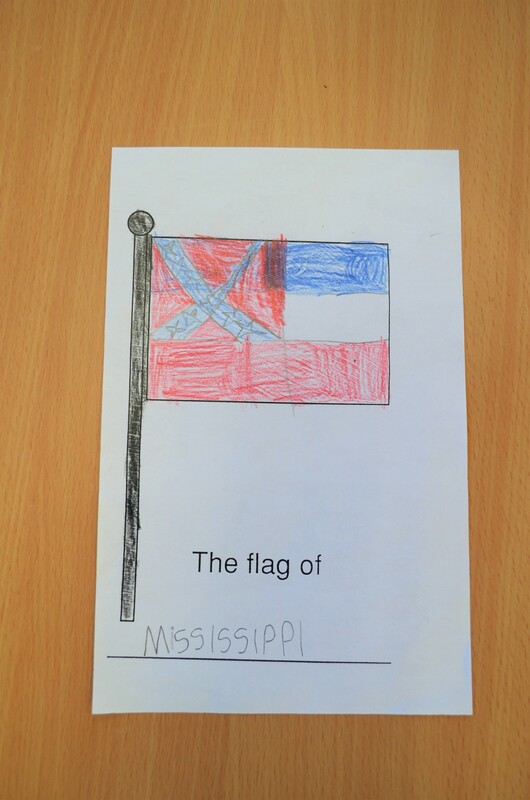 Some of our older friends drew state flags from memory, using only a study book as a guide. The focus on detail is so amazing! 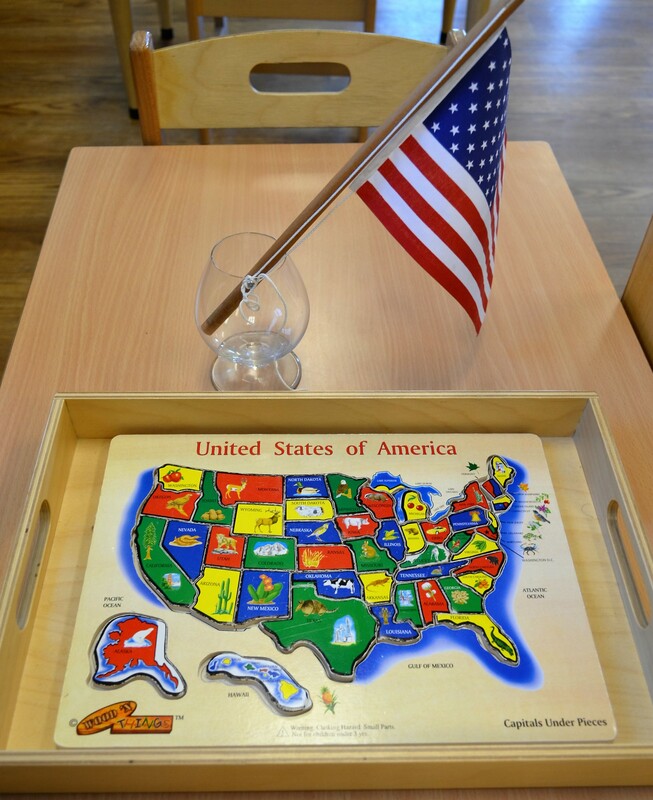 A pin-pricking of the United States of America. A lot of concentration and focus went into making sure each line was carefully poked out. 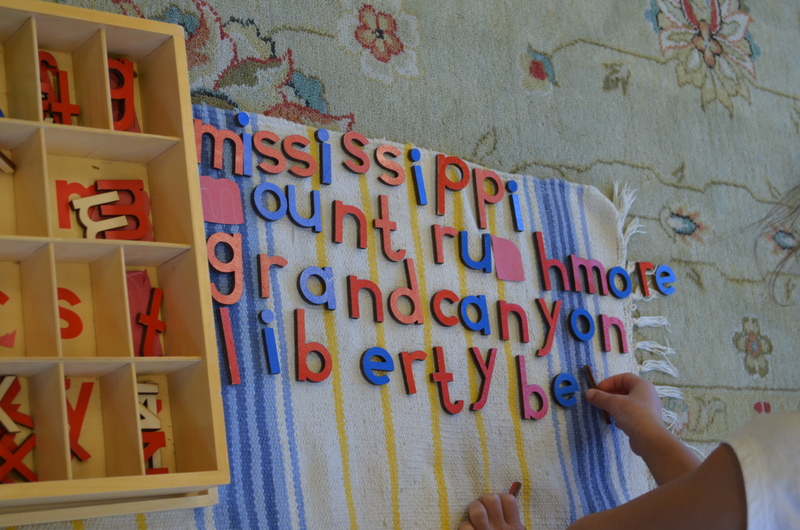 One of our kindergartners got creative and used the moveable alphabet to spell some of her favorite American landmarks. 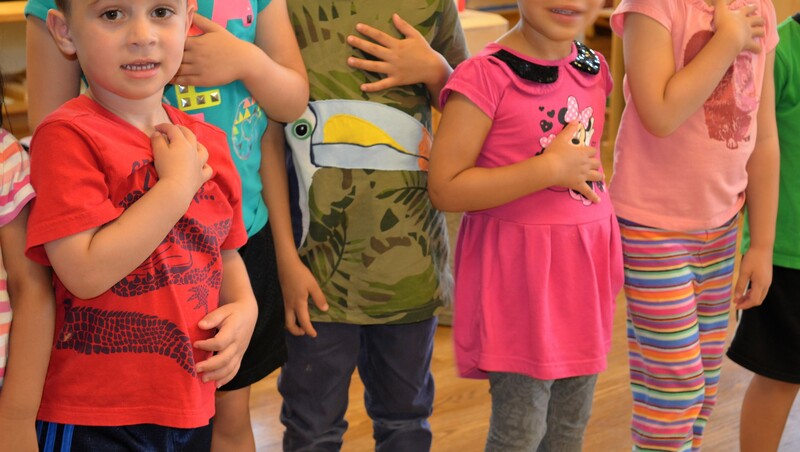 Our next summer camp theme, “dinosaurs”, is set to be just as exciting as our recent camp. 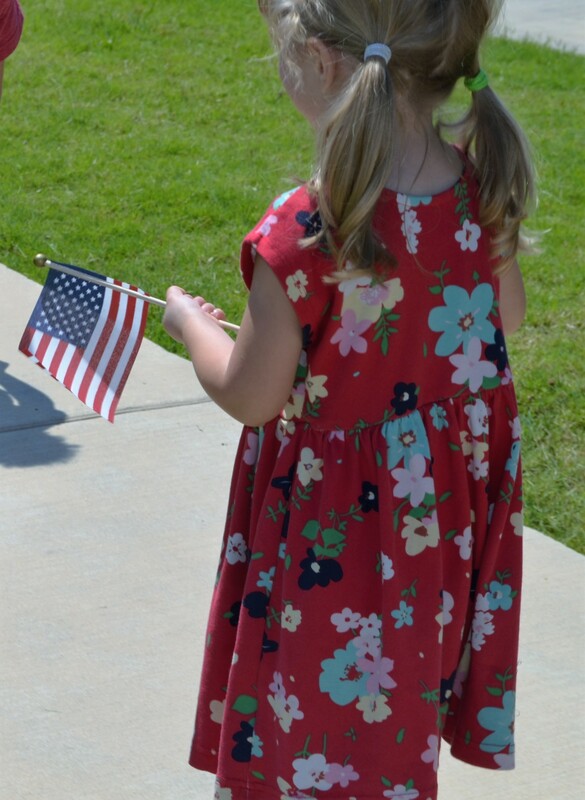 Stay tuned for more pictures and stories to come! 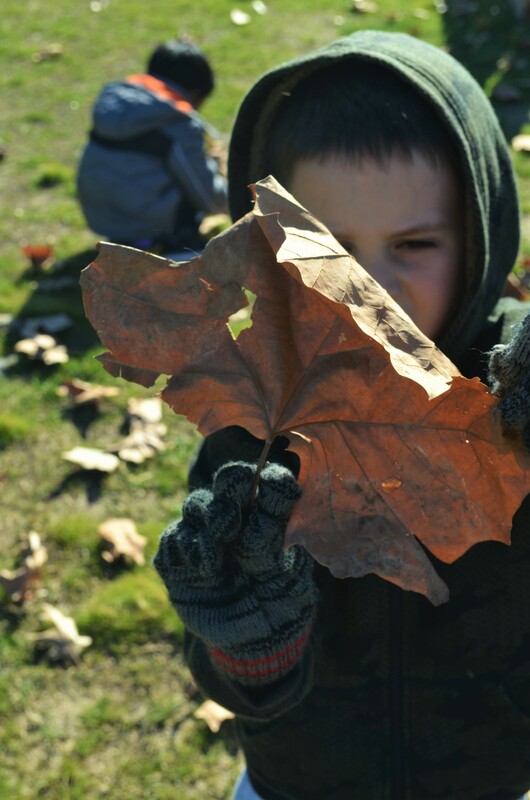 I had to capture a few photos of our friends enjoying a leaf pile. You would have thought it was the best day of their lives! 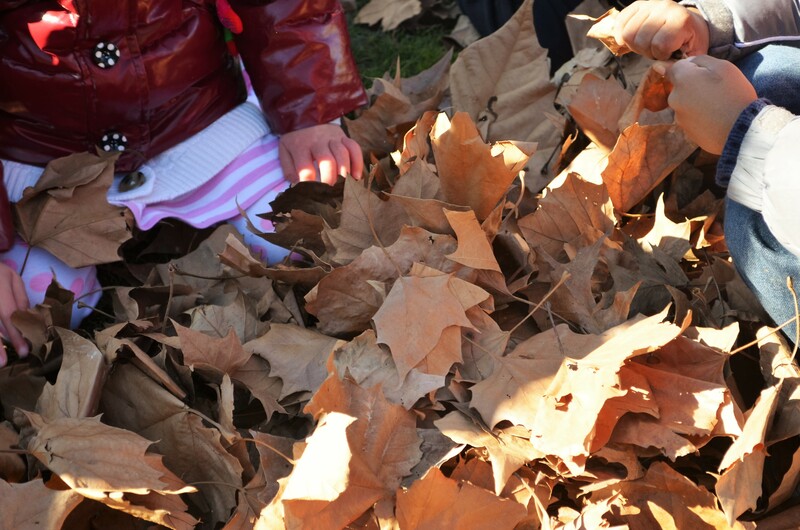 They spent almost an hour gathering the leaves (by hand), making a pile, and then taking turns jumping in the pile, or throwing them up in the air. 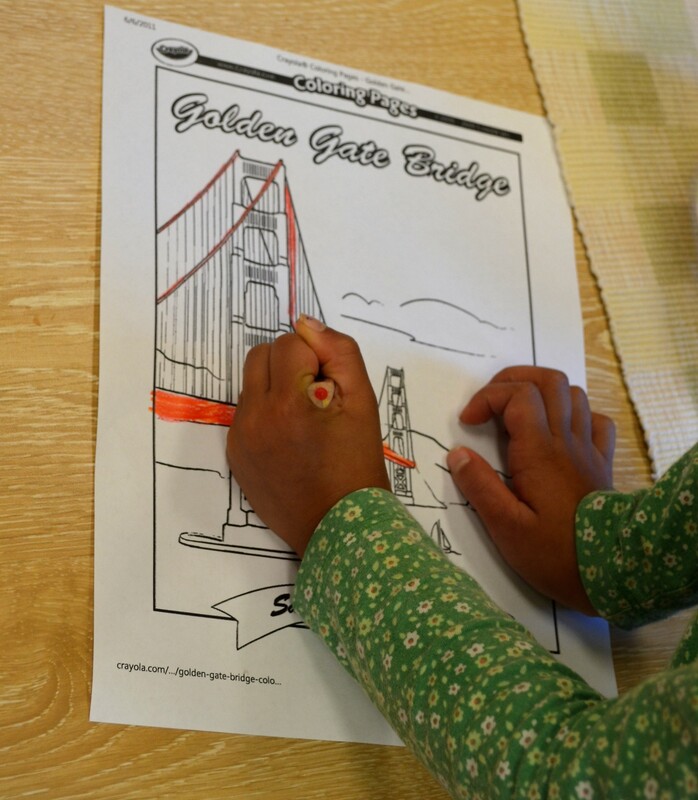 It was a great alternative activity for this cold, wintry day! Children are never afraid to get messy! Our toddler friends explored their artistic abilities this morning by painting with their fingers. 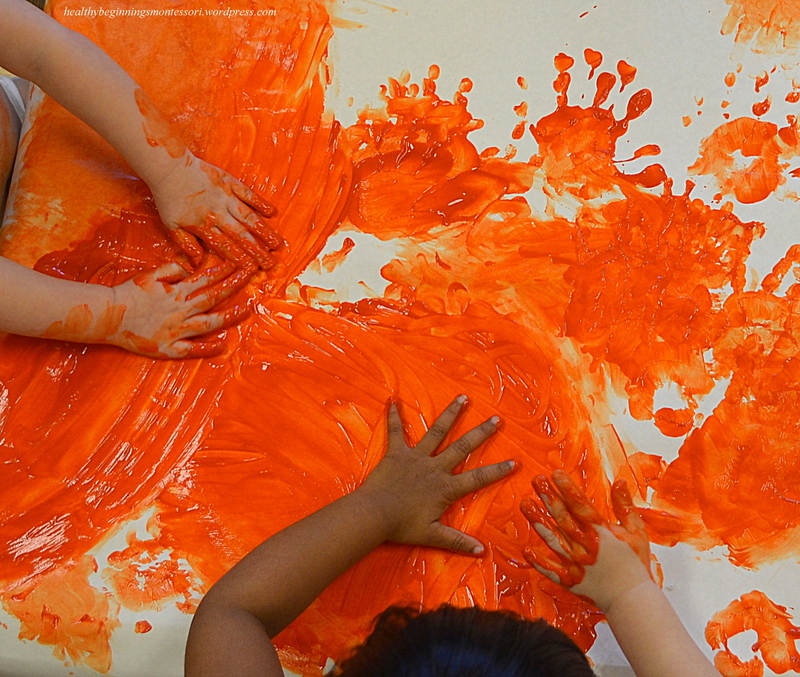 The squishy, cold, slimy paint provided for a nice, relaxing sensorial activity…until it was clean up time! 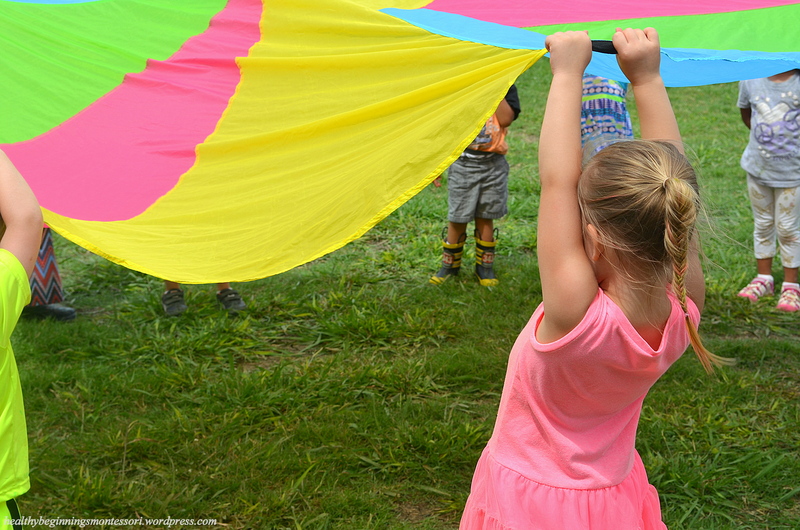 An overcast sky this morning provided extended outdoor playtime under the clouds and cool breeze. 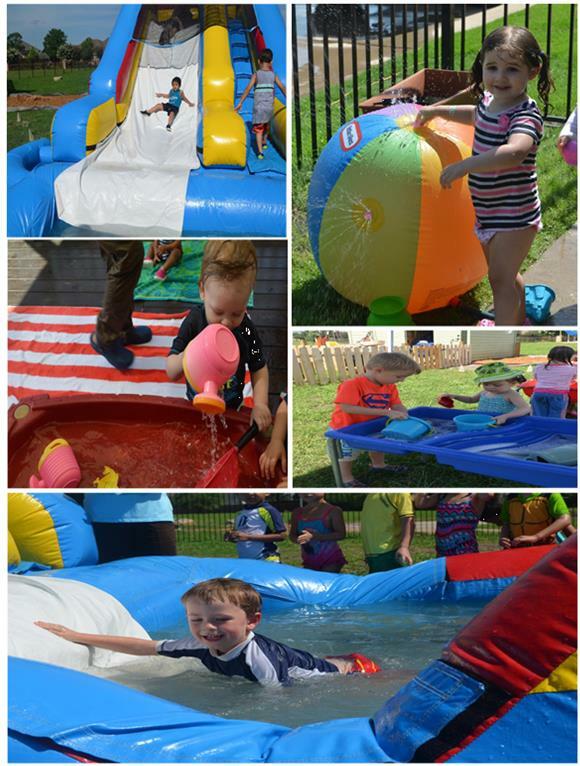 A few moments captured from last Friday’s Splash Day. Obviously, we had a blast! 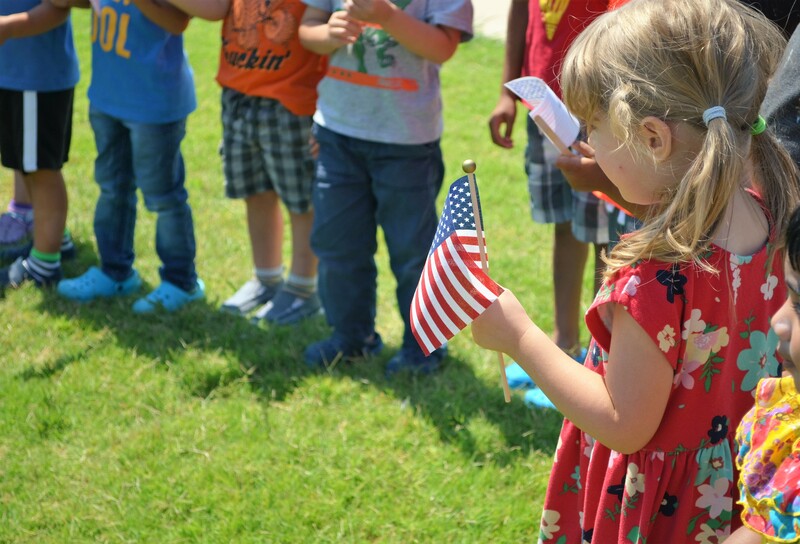 See What’s Happening in Our Own Backyard! The latest in our backyard improvements: an awesome new Gravel Works area, complete with a covered tarp to provide much needed shade; blossoming garden beds filled with flowers, fresh lemon balm and basil, strawberries, peppers, and tomatoes, and a few other projects in the making. BIG THANKS to Mr. Monty, our honorary Projects Manager and Head of all backyard renovations and improvements. Donations raised from tomorrow night’s Parent’s Night Out will go towards these and many more renovations in the near future; thank you in advance for your generous donations towards the growth of our school! 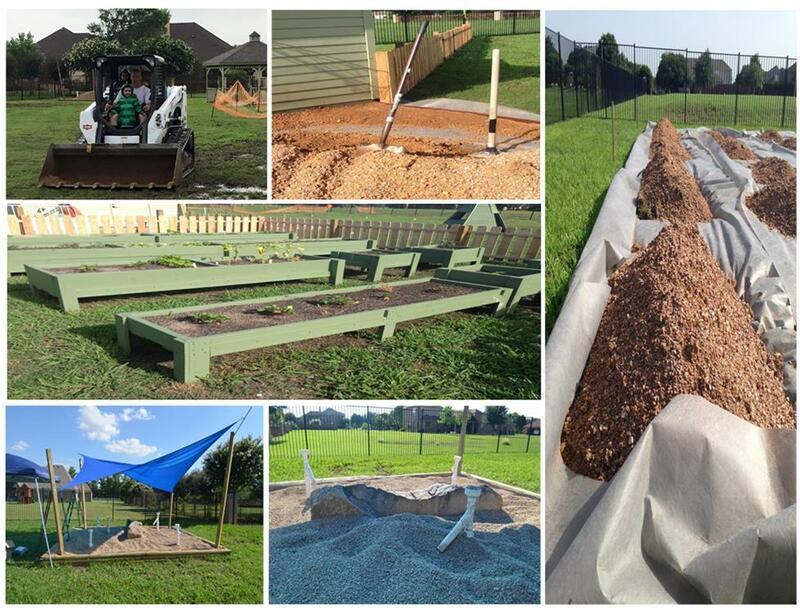 Stop by the backyard to see the updates for yourself! It can happen to the best of parents. 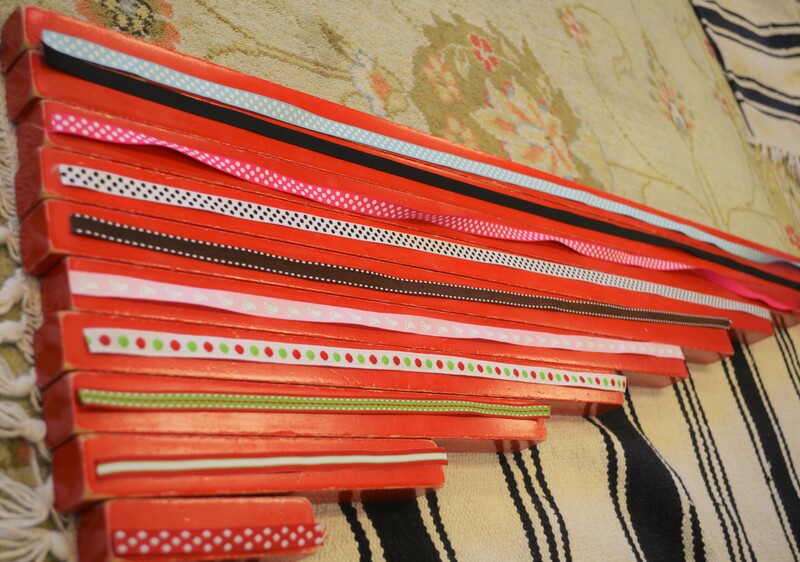 We get busy and forget our sleeping little ones are just behind us, nestled comfortably in their car seat. The thought is enough to keep you up at night. According to the Tennessee Department of Health, the temperature inside an average car or truck can increase 20 degrees in just 10 minutes. A child’s body can heat up three to five times faster than an adult’s, causing heatstroke, brain damage and even death. It can happen to anyone, anywhere. That’s why it’s so important to never leave your child alone in a car, not even for a minute. 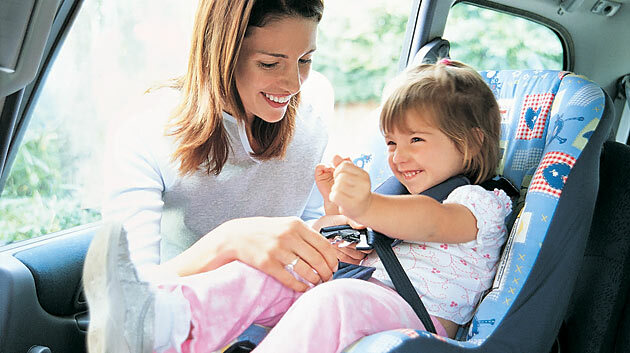 There are so many tips to help you not forget your child in the car. You can place all of your belongings (purse, briefcase, phone) beside your child’s seat so that you’re forced to check the back seat. A stuffed animal placed in their car seat when they’re not in it can be removed and placed on your lap while driving with baby-in-tow. A large object like that can serve as a reminder that there’s someone in the backseat. 2) Wear sunscreen every time you go outside, and apply multiple times! Take frequent breaks from the sun by going indoors or moving into the shade. These steps are especially important between 10:00 in the morning and 4:00 in the afternoon, when the sun’s rays are strongest. Use a sunscreen with an SPF rating of 30 or higher. Put on sunscreen 15 to 20 minutes before going out in the sun. The letters SPF stand for sun protection factor, and the number rating tells you how much longer you can stay in the sun without getting sunburned. But this isn’t always true, so reapply sunscreen at least every 2 hours, just to be safe. Do this more often if you’ve been swimming or sweating a lot — even if the sunscreen is waterproof. And remember that you can get sunburned more quickly when you’re swimming or boating because the reflection from the water intensifies the sun’s rays. Children copy what they see. Perfect example, my two year old son will take my keys and go around the house trying to unlock all of the door knobs, even if they don’t have a key hole. This can actually be quite dangerous if the child has access to your car on a hot day. If unsupervised, they can unlock the car very easily and hop inside. However, they may not be able to get out as easily. Be sure to always lock your car, even if it’s parked in your garage, and place your keys in an area away from your child’s reach. 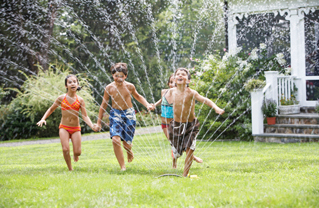 Incorporate a water sprinkler, pool or child-safe water table during outdoor playtime. 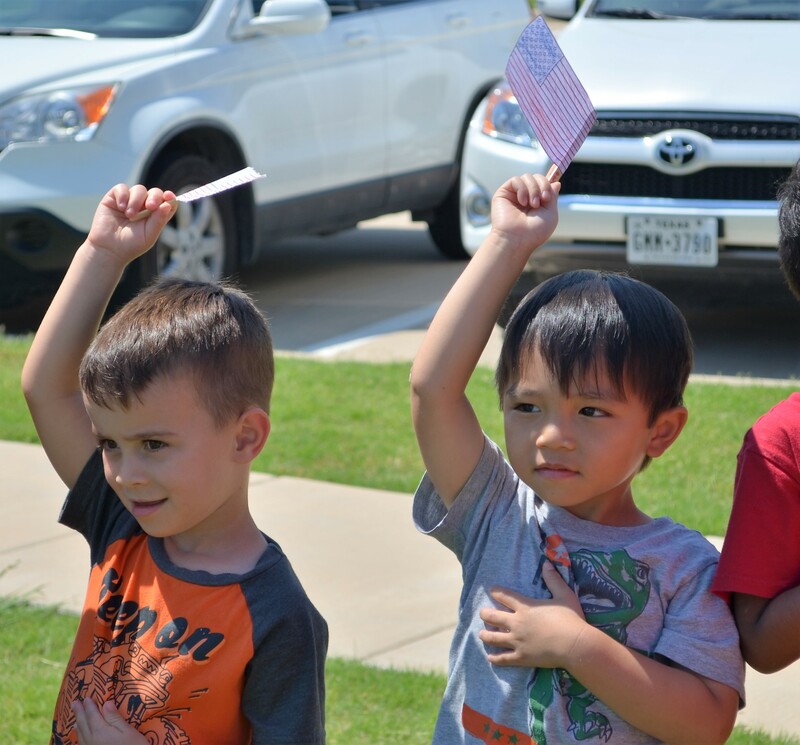 A water sprinkler creates a fun source of exercise for your little ones, allowing them to stretch their limbs and run around, while staying cool at the same time. 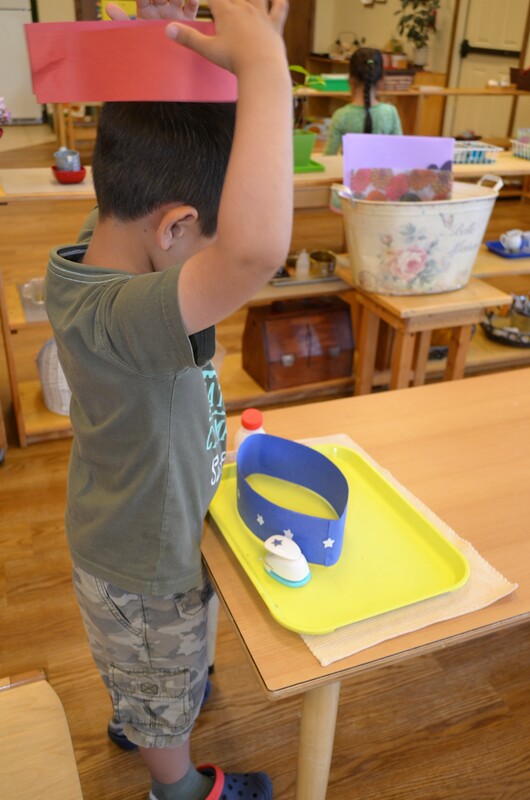 Using a water table also allows the child to explore different water toys, learning to discriminate against what does and does not float, or transfering water; a great work in concentration and hand-eye coordination. Swimming lessons are extremely essential in teaching your child how to swim properly, or to prevent drowning. 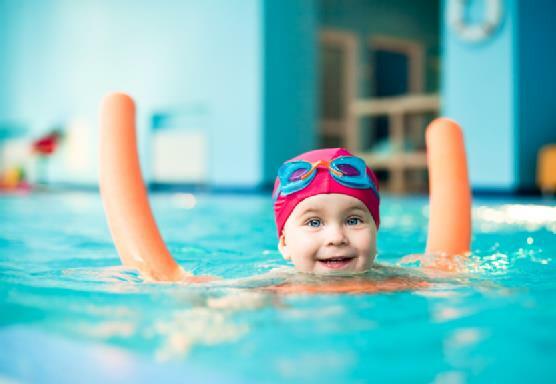 The American Academy of Pediatrics doesn’t recommend beginning formal swimming lessons until kids are at least 4 years old because that is the age that children are thought to be ‘developmentally ready’ for swim lessons. However, it certainly would not hurt to introduce your child to the water at whatever age you are most comfortable with! Personally, the earlier they dip their toes in the water, the better as this will help them become better acclimated to the guidelines of a swimming pool at an earlier age. 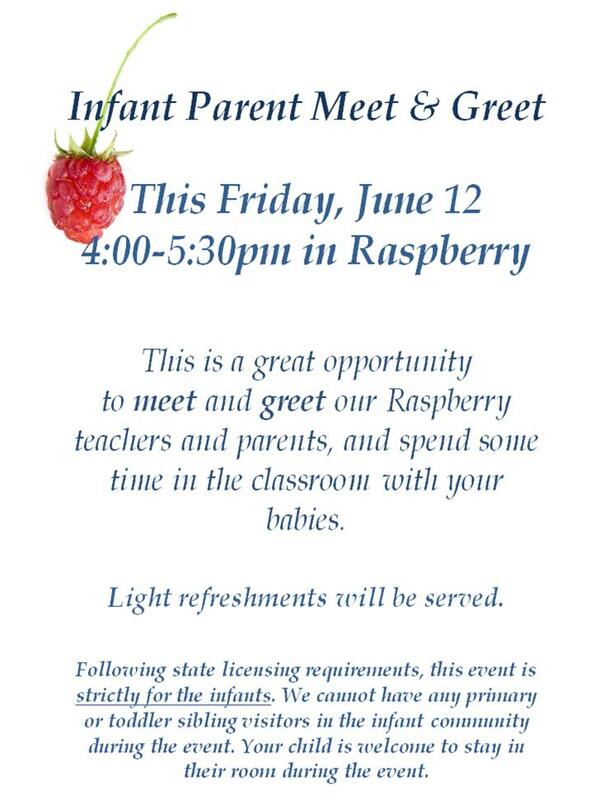 Make sure they are wearing age-appropriate safety equipment. Proper adult supervision should be present at all times, of course. Most importantly, remember to hydrate, wear sunscreen and maintain appropriate clothing coverage while spending time outdoors this summer. Remember to have fun and stay safe!